If your stored items need to be secure but visible then a steel or stainless steel mesh partition provides the perfect solution. Mesh Partitions are ideally suited for use in bonded areas, storage of hazardous goods, high value goods and ISO9000 segregation of suspect products, or for any area which requires division using a cost effect and quick to install solution. It is suitable for use outdoors, in cold rooms or refrigerated storage and for all indoor applications. 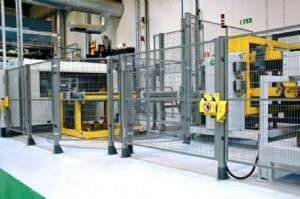 These mesh partitions or cages offer a excellent solution for security of the control of products or ingredients and prove popular in engineering, food and chemical industries allowing controls and procedures to be adhered to with code or key locks. Various panel heights and widths available. Hinged or sliding doors available in a range of widths. Two standard finishes, either powder coated Grey for indoor use or hot dip galvanised for outdoor use. Special order stainless steel finish available. Floor fixings provided for all partitions. 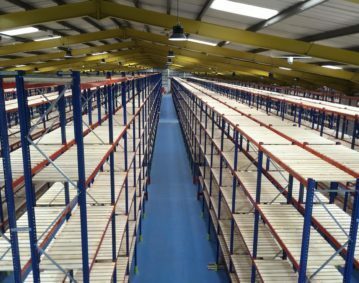 Prior to us installing your mesh partitioning we would complete a site survey to ensure that the best options are selected for your particular requirements. Complete the form below and we’ll get in touch with you.